One crew – one killer. Andrea (Catherine Walker), a damage regulator from Benthos Oil, is sent out to Rig 45 two days before Christmas to investigate a fatal accident. When starting to investigate, Andrea finds that the crew of the rig is unwilling to talk to her and she has a hard time finding out the truth. 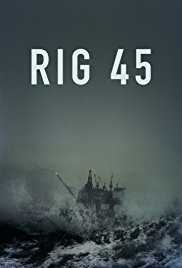 Just when the rig is hit by a hurricane and all forms of communication to the mainland is cut off, the crew realize that the accident is in fact a murder, and they now know that they are in real danger. With a murderer amongst them, questions are being asked – who is the killer?